A terminally ill Winnipeg man lost a 16-month court battle Friday over a red-light ticket from 2015, but James Aisaican-Chase says he will appeal the decision. A terminally ill man's 16-month court battle over a red-light camera ticket has come to an end. 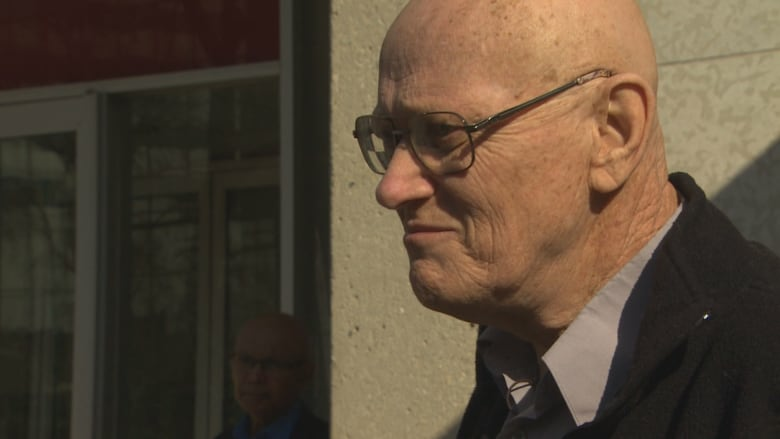 Winnipegger James Aisaican-Chase, 72, was found guilty Friday of running a red light on Bishop Grandin Boulevard in 2015 and ordered to pay a $203 fine. "I'm going to fight it because I'm motivated to fight it," said Aisaican-Chase, who is fighting Stage 4 cancer, outside traffic court following the decision. "I believe in this city and I believe in the people of this city and they're getting robbed blindly by this court." During closing arguments in March, Aisaican-Chase's defence team did not contest that he committed the red-light infraction. 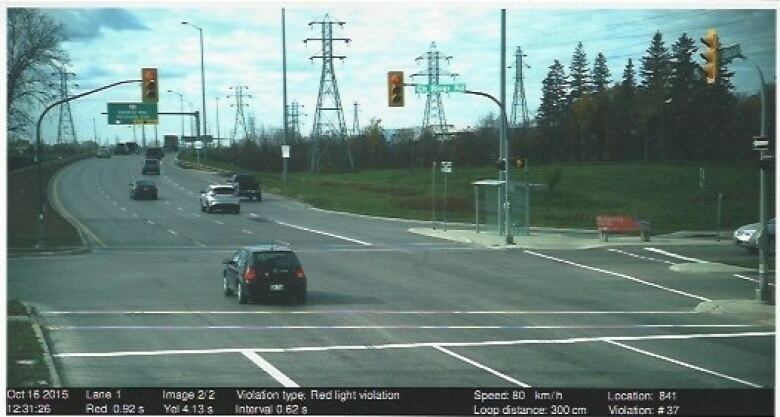 However, they argued, with the help of expert testimony that by running the light he took reasonable actions, since the four-second yellow light didn't afford him enough time to safely react and stop his vehicle in an 80 km/h zone. Unlike most jurisdictions in the country, Winnipeg uses a fixed four-second duration for its amber lights, regardless of the posted road speed. The national reference guide on traffic engineering endorsed by the Transportation Association of Canada also recommends a graduated scale where, generally speaking, greater speeds have longer amber intervals. However, judicial justice of the peace Nettie Cuthbert-Buchanan's decision Friday didn't consider any of the technical or engineering details about the amber light duration, calling the offence "one of absolute liability." "As such, the Crown is only required to prove beyond a reasonable doubt [that the offence occurred], which I am satisfied that they have done," she said. "Therefore this court need not consider the defence of due diligence and a conviction will be entered." Generally speaking, non-criminal offences can either be of strict liability or absolute liability. For an individual to be convicted under a strict-liability offence (a workplace health and safety violation, for example), the Crown only needs to prove that the offence was committed by the defendant, regardless of intent. The defendant can argue "due diligence," however — that they took reasonable measures to avoid committing the offence, or that it was necessary to break the law. The onus is on the defendant to prove that. Aisaican-Chase's defence rested on the assumption he was dealing with this type of offence. However, Cuthbert-Buchanan determined in her decision that the offence was one of absolute liability, meaning there was no room for arguments of "due diligence" by the defence. 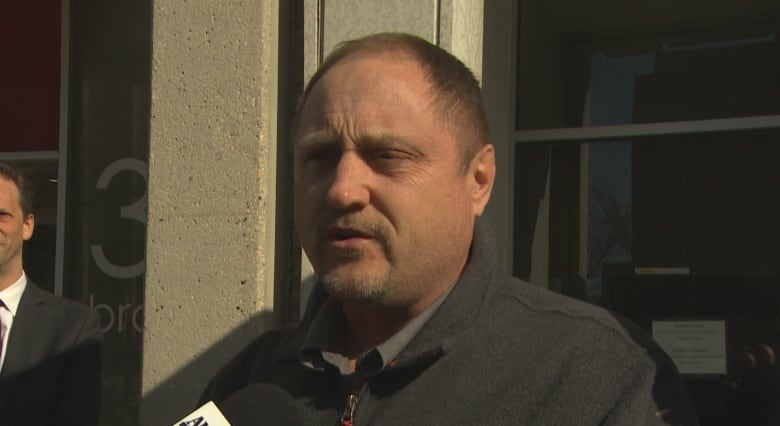 Local traffic ticket fighter Todd Dube of Wise Up Winnipeg has been covering the legal fees for this case. He says the fight isn't over. "You wouldn't think that it would take 10 years and $150,000 to prove the laws of physics apply to Winnipeg," he said in reference to his ongoing call for longer amber light times. "This court is so unfair, so ridiculously biased toward the Crown and the city that we expected to lose here today. We're fully prepared to go to appeal and we're going to file that immediately. The facts are going to prevail," said Dube. The lawyer who represented Aisaican-Chase says that Manitoba's Highway Traffic Act does not prescribe whether an offence is an absolute or strict liability offence. "There are some HTA offences where it's been found to be strict liability and there's others that have been found to have absolute liability," said attorney Mark Toews of Deeley Fabbri Sellen Law Corporation. "So we have robust discussions as to whether it fits more into one set of precedents as opposed to another. We believe in this particular case, it should have been strict liability."